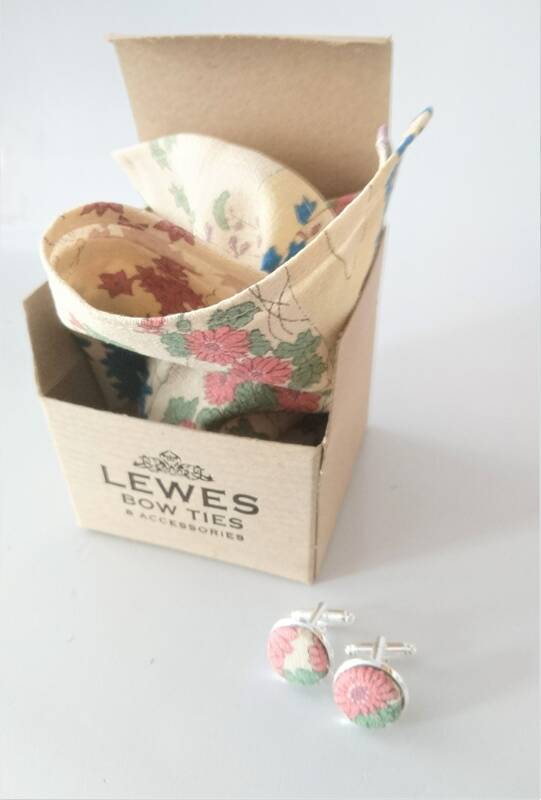 Groom's ivory vintage japanese silk floral pocket square and a matching cuff links wedding set. Luxurious quality, stunning colors of pink, peach, purple, green and blue on ivory textured background. 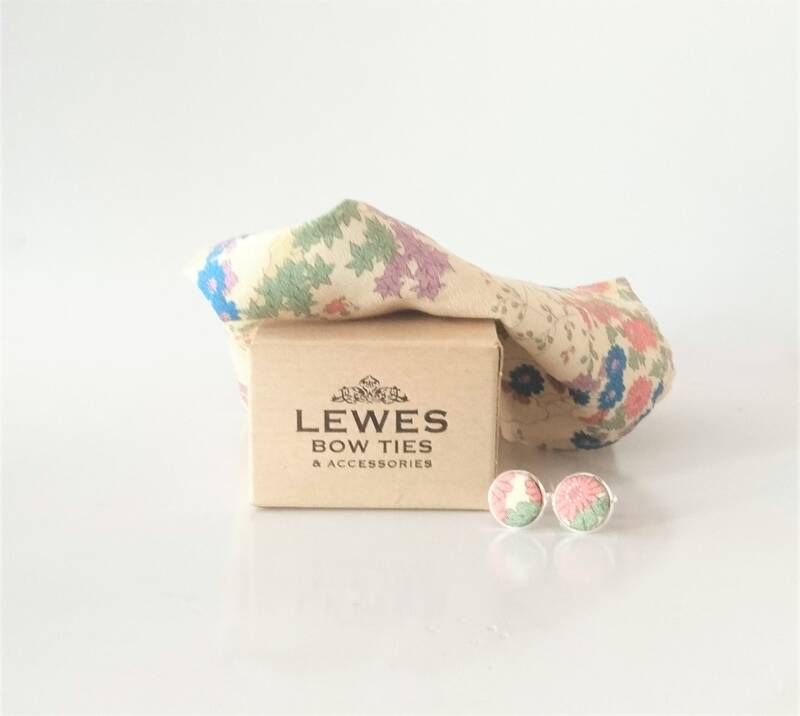 Each pair of cuff links is hand made in our Atelier in Lewes and fit all standard shirts. Packaged in recycled paper box. Pattern placement may vary slightly. 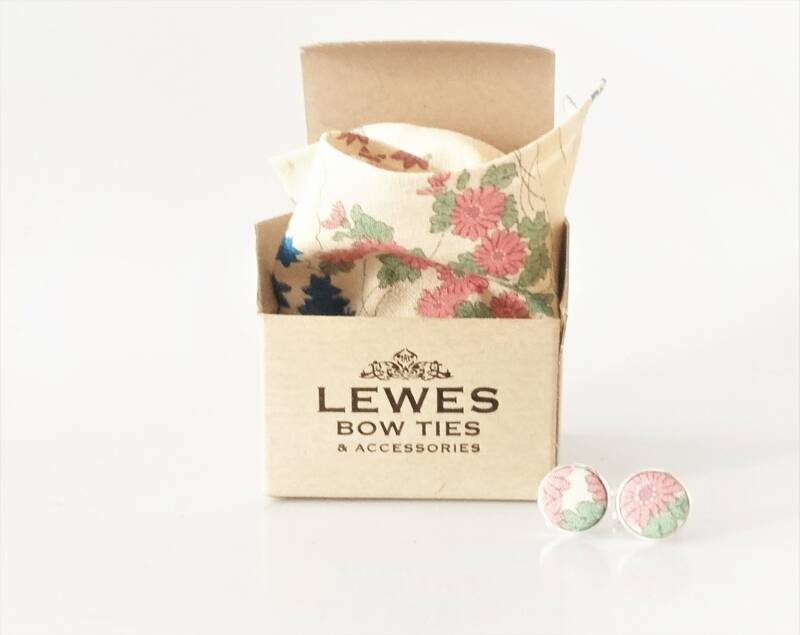 Each cuff link measures 5/8 inch (15 mm) across. Silver tone findings.